Breast Cancer Research is the highest ranking breast cancer-specific title in the top quartile of oncology journals worldwide. Primarily publishing original research, literature reviews, and invited editorials, the journal also publishes preclinical, translational and clinical studies with a biological basis, including Phase I and Phase II trials. 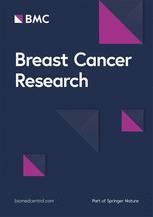 Breast Cancer Research publishes content on the following topics: Clinical Interventions; Cellular or Molecular Pathogenesis; Pathology; Genomics and High-throughput Technologies; Mammary Gland Biology; Imaging; Screening & Prevention; and Epidemiology.